Let me let you in on a secret. These Slugs and Bugs cd's are the reason I wanted to start Monday Media Review. The songs are precious, thoughtful, silly, lovely, and all things good. I buy 10 at a time to give as gifts. I talk about them any chance I get! But it's also easy to let them speak for themselves. That has been the case for my own family. These cd's have transformed our time in the car. We sing together, we laugh together, my kids listen and ask questions. The first time I realized these songs were sinking in was when I heard my oldest son singing, "God makes messy things beautiful, when you put 'em in His hands." What better lesson is there for a child to learn? We are a mess and have messed things up terribly. But God can turn that mess into something beautiful. And here's the kicker. The music is good. It's not sappy or kitschy. It's catchy, sometimes silly, sometimes sweet, but always good. 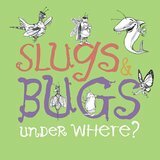 Slugs & Bugs Under Where? : a lively, delightful collection sure to fill your ears with squeals of laughter and your eyes with wells of tears. My favorite songs on this CD: "God Makes Messy Things Beautiful", "God Made You Special", "Sweet Baby Boy", and "I'm Adopted". My kids' favorites are: "Food", "Mexican Rhapsody", "Under Where", and really I almost could list every song. If you're looking for a "starter album", start here. Slugs & Bugs Lullabies: The last 5 songs on this album are sweet, sweet lullabies, but there are 13 other fun, silly songs, too. This album has my kids' absolute favorite song, "Tractor Tractor", and a grab-the-Kleenex tune titled, "You Can Always Come Home to Me". Other favorites on this album: "Beautiful Girl" and "Bears". Sing the Bible Volume 1: When I first heard this, I was so glad to find a CD of straight Scripture that was an easy joy to listen to. There are 16 tracks of long passages of Scripture set to song and 2 tracks that list the books of the Bible. An easy way to hide God's word in your and your kids hearts! Definitely not just for kids! 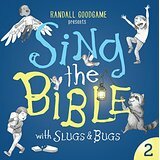 Sing the Bible Volume 2: The BEST CD yet! Truly amazing. We listen to this over and over, and I keep listening even after my kids aren't in the car. There's a part of the song "You Forgave Me" when the refrain "You forgave me. All my guilt is gone." repeats over and over again. I love and need that counsel. I love to hear my kids' sweet voices sing that over and over. The last track is a piercing rendition of the verse, "By His wounds, we are healed." What joy! What grace! Clearly, I love these cd's and can't recommend them enough. Buy them for your family and then buy some more for other kids you know and love! 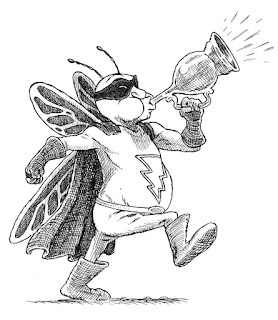 *Quotes taken from the Slugs and Bugs website.